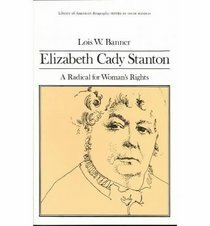 Before there were suffragists to march and fight for the vote, there was Elizabeth Cady Stanton. Before she teamed up with another superhero for women’s rights, Elizabeth was a daughter, a sister, a wife, and a mother. 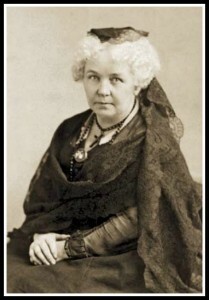 Then, one warm summer day in 1848 in Seneca Falls, New York she stood up, gave her first public speech and helped to start a movement. She tried- she rode horseback and tried to do “boy” activites. She studied hard and excelled academically but there was one thing that she couldn’t control and it was the one thing that held her back: her gender. 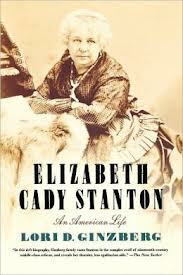 Once she exhausted the educational options that she had, Elizabeth became involved in the Abolitionist and Temperance movements and began down a pretty traditional path when she married Henry B. Stanton. Well, sort of traditional- except that she and Henry, a Reformer working to abolish slavery, took the word, “obey” out of the traditional vows, and their first voyage after marriage was to London for a World Anti-Slavery Convention. How’s that for a honeymoon? Of course, there is a lot more to the story (A LOT- we tell you this every time, you have to listen to the podcast to get all the juicy bits)- but while in London Elizabeth’s eyes were opened to several things. The one that impacts this tale, is the way that women were treated- even delegates at the convention who were female were not allowed to participate in any more than an observational role. She also met some rock stars in the human rights arena but during her time not participating in the proceedings, she and Lucretia Mott- a Quaker preacher who was very active in the anti-slavery movement- formed a friendship that would have a significant impact on Elizabeth’s life in a few years. 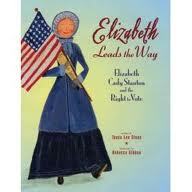 But first Elizabeth lived the married life of the wife of a lawyer in Boston. She had three children in short order and set up housekeeping in the city. She enjoyed her life a great deal- hello!- she was hobnobbing with the likes of Nathaniel Hawthorne and Ralph Waldo Emerson. But all good things must end and the family moved to Seneca Falls, NY (upstate, to the left- about halfway between Albany and Buffalo). In this new phase of her life she wasn’t as content as she had been in the city. She kept having babies (seven in total), but lacked the staff , support and outside interests that she had in Boston. Henry traveled a great deal as an anti-slavery lawyer and politician- and Elizabeth got caught up in the drudgery of small town life. 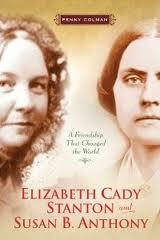 One day, her old friend Lucretia Mott came to town and Elizabeth was invited for tea with her. Shortly after this the women present had created, advertised and were holding the First Women’s Rights Convention in Seneca Falls (if this story is new to you, THIS is one of the historical turning points that President Obama was referencing in his 2013 inaugural speech). In front of an audience of about 300 people who had packed into the Wesleyan Chapel Elizabeth wrote and delivered her first public speech ever, the Declaration of Sentiments based on Thomas Jefferson’s Declaration of Independence. The points outlined in the speech were designed to create laws that protected women and put women on equal footing legally with men. And the biggie? The right to vote. 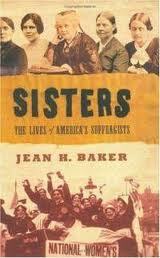 From where we are sitting suffrage for women seems like a no-brainer, but in this time it was fairly scandalous. Women at the time were not considered intelligent enough to sit on a jury, let alone own property, have a legal say in the welfare of their own children, or help to decide the government of their own country. 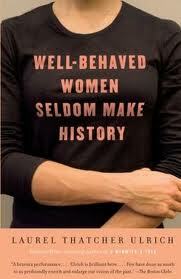 100 people signed the Declaration that day, mostly women but some men- vowing to do what they could to create change. Elizabeth, however, was torn. She was becoming rather famous for her speech but she felt strong devotion and loyalty to her family. How could she help the cause when her primary responsibilities required her to stay home? For the next 50 years the two would work together on the cause of women’s rights. Susan B. Anthony and Elizabeth later in life, they even look like the opposites that they were, don’t they? It wasn’t easy, and they would often disagree. For instance, at one point Susan thought that the sole mission should be to get women the vote, while Elizabeth thought more broadly to religious and legal freedoms. But work together they did. For the most part, Susan did the leg work and Elizabeth did the brain work. But often Susan would travel to Elizabeth’s home and help out with domestic chores so that new speeches could be written. 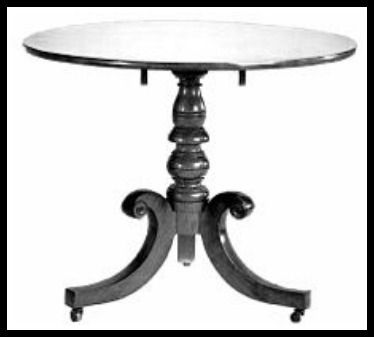 The mahogany table that the women would work at at Elizabeth’s house and where Elizabeth wrote the Declaration. It later was at her funeral. During that time they put in years of hard work, devotion, standing up for what they thought was right all with a goal of women’s suffrage in their minds and actions. 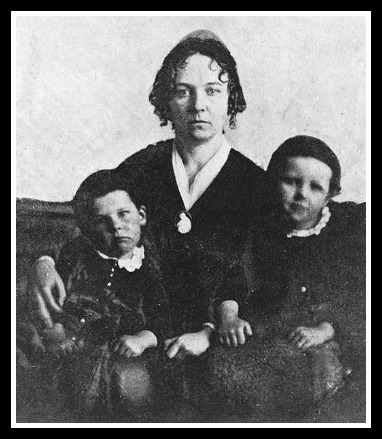 It’s a long story and we go into some detail during the podcast, but it is filled with success and failure; determination and drive; support and alienation from those who they encountered; work for not only women’s suffrage but temperance and abolition, too. Elizabeth did it all while raising her family without much help from her traveling husband. As the two women slowed down, just a bit- they got together to document the tale of the work done thus far in a book that would take years to write- The History of Women’s Sufferage. 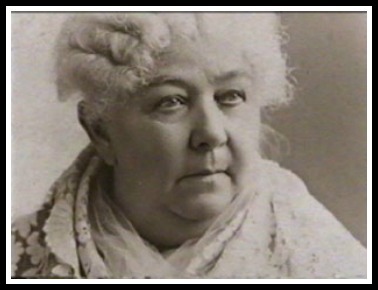 Susan managed to vote in an election, although she was famously arrested, charged and fined $100 for her attempt. Elizabeth spoke throughout Europe and caused quite a ruckus when she re-wrote the Bible into The Women’s Bible offering counter-discussions for time honored interpretation of scripture from Genesis to Revelation. She also wrote her memoirs, Eighty Years and More. Together they wrote a document and got it into the rights hands to be presented to Congress. This little document, very short, but very important, would be presented in every session for the next 45 years. On October 26,1902, Elizabeth was 86 years old and living in New York City with her daughter. She was losing her eyesight and in constant need of physical assistance. She asked for assistance to stand, took in the view for several minutes, then was instructed by her family to sit she lay down and took a nap. That day she died in her sleep. Susan would carry on the fight for the next four years, dying in 1906. In 1920 the document that they had prepared was finally ratified and became the 19th Amendment to the Constitution granting women the right to vote. Companion podcast! Beckett reads the Declaration of Sentiments in a companion podcast. CLICK HERE . Museum! If you happen to be near Seneca Falls, NY, you have to (have to…must, really!) visit the Women’s Rights National Historic Park. 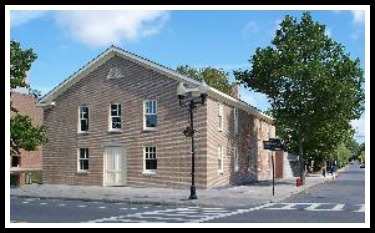 There are four properties including Elizabeth’s house and the Wesleyan Chapel where the first Women’s Rights Convention was held. If you are interested in reading some of the works of Elizabeth Cady Stanton, try The Papers Project or the National Archives Teaching with Documents site. A History of Women’s Suffrage and The Women’s Bible are in the public domain and can be read through Project Gutenberg. One of the organizations that Elizabeth helped to found and was the first president, The National American Women’s Suffrage Association morphed after the 19th Amendment into the League of Women Voters and is still an active organization today. 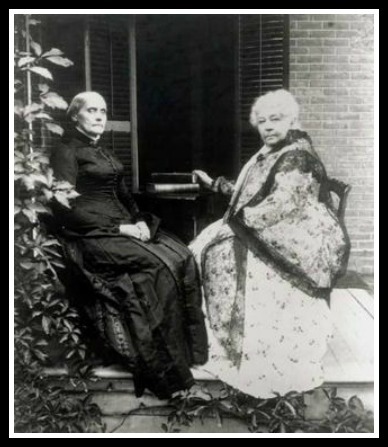 Movies- we recommend this one Ken Burn’s documentary that is streaming on Amazon (Or get it from your library), Not For Ourselves Alone: The Story of Elizabeth Cady Stanton and Susan B. Anthony. Susan here. I stand corrected. The dance that my kids learn in physical education not history class in middle school is the Cotton Eyed Joe. Not necessarily a Missouri dance but one that originated in the south prior to the Civil War with probable slave origins. I still think it’s wonderful that a folk dance is taught, and remembered in this day and age. Take that Cupid Shuffle and we’ll see where you are in 150+ years.